Our skin is the largest organ in our bodies and everything we put on it gets absorbed within seconds, including toxins. We are constantly bombarded to use the latest shampoo if we want to have voluminous and shiny hair, fragrant deodorant to attract the ladies or gents, or creams that will make our skin “healthy” and clear. We buy all these products thinking they are “good” for us and apply them daily, trusting that the long and unpronounceable list of ingredients are not hiding anything that could potentially harm us. But, do you really know what is your soap, shampoo, moisturizer, makeup, deodorant and lipstick? Do you know what you are applying to your body daily? Parabens are one of the most common cosmetic preservatives, they are used to inhibit microbial growth and extend shelf life. Unfortunately it can cause skin rashes, and most importantly, it has been found in great concentrations in human breast tumors. There are no studies yet that confirm that parabens can cause cancer. But the fact that some cosmetic firms are stopping the use of this ingredient and labeling their products “pareben free” makes me want to get very far away from them. Fragrances used in cosmetics are usually synthetic and can have as many as 200 ingredients even though we just see “fragrance” in the label. Synthetic fragrances can cause severe or chronic headaches, allergies, dizziness, rash, coughing, skin irritation and hyperpigmentation. Phthalates are found in many soft and flexible plastics as well as in many care products such as shampoo or nail polish. They are usually a “hidden” ingredient in “fragrance” and can be identified as DBP (di-n-butyl Phthalate) or DEP (diethyl Phtalate) in a cosmetic ingredient list. Phtalates have been found to be hormonal disruptors (specially in men). They cause infertility, low sperm count and structural abnormalities in animal’s reproductive organs. Some studies also link phthalates to liver cancer (the U.S. Center for Disease Control). Often used as preservatives. 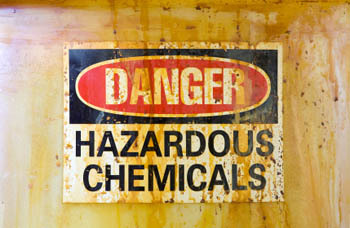 Both chemicals release formaldehyde, which can be toxic. They can be found in shampoos, conditioners, bubble baths, baby wipes and other skin care products. They may be listed as 2-bromo-2-nitropropane-1,3-diol, Diazolidinyl urea, DMDM hydantoin, Imidazolidinyl urea, Quaternium 15, etc. Exposure to formaldehyde may cause allergic reactions, hormonal disruption, affect the reproductive health, nervous system damage and suppressed immune system among others. Triclosan is a common antimicrobial agent that is found in antibacterial soaps, many deodorants, toothpaste and other cosmetics. It has been linked to hormone disruption and the emergence of antibiotic resistant bacteria. Along with its negative health effects, triclosan also impacts the environment, ending up in lakes, rivers and other water sources, where it is toxic to aquatic life. Triclosan has proved to be both dangerous and unnecessary. 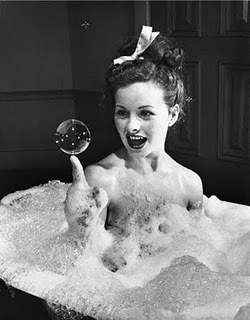 In 2005, the FDA found no evidence that antibacterial washes containing triclosan were superior to plain soap and water for protecting consumers from bacteria. Triclosan also accumulates in fatty tissues. Studies have found concentrations of triclosan in three out of five human milk samples as a result of exposure through personal care products containing triclosan. These are used as foaming and emulsifying agents in lotions, shampoos, facial cleaners, conditioners, gels, moisturizer and soaps. They are used for the consistency and texture they give to these products even though they can be highly toxic. They can cause allergic reactions, eye irritation, dryness of the hair and skin. But most importantly, there are numerous studies that associate DEA and TEA with various types of cancer in lab animals. Look out for Cocamide DEA, Cocamide Diethanolamine, DEA Lauryl Sulfate, Diethanolamine Lauryl Sulfate, Lauramide DEA, Lauramide Diethanolamine, Linoleamide DEA, Linoleamide Diethanolamine, Oleamide DEA, Oleamide Diethanolamine, TEA or Triethanolamine on product labels. This is a cheap and harsh detergent used in many shampoos and soaps for its ability to foam. Often derived from petroleum, it causes eye irritation, dry scalp, skin rashes and other allergic reactions. It’s used in thousands of cosmetic products and while its level of toxicity is still debated, some claim that it contains endocrine disruptors and may be contaminated with 1,4-dioxane (a potential carcinogen). And while it may not be toxic on its own, in combination with other ingredients, it can can form carcinogenic compounds. Also,recent studies done in Japan show that it can damage DNA in cells. Lead may be a contaminant in over 600 different cosmetic products, and has been found in most lipsticks and nail polish. In October 2007, the Campaign for Safe Cosmetics tested 33 popular brands of lipsticks. The results showed that 65% of lipsticks contained lead. Lead-contaminated brands included L’Oreal, Cover Girl and even a $24 tube of Christian Dior. The U.S. Food and Drug Administration released a study in 2009 that found lead in all samples of lipstick it tested, at levels four times higher than those previously found. FDA found the highest lead levels in lipsticks made by three manufacturers: Procter & Gamble (Cover Girl brand), L’Oreal (L’Oreal, Body Shop and Maybelline brands) and Revlon. Yet FDA has thus far failed to take action to protect consumers. Mercury is also present in many eye shadows and mascaras but no detailed studies have been conducted yet. Also, many deodorants and anti-prespirants still use aluminum which has been linked to breast cancer in numerous studies. Please look up your deodorant’s ingredient list and if it has any aluminum based compounds replace it for an aluminum free alternative (there are many available everywhere and are just as effective). These are just a few of the “hidden” toxic ingredients in our every day personal care products, and just like with everything that we eat and drink, we must read ingredient labels before putting anything in our bodies. Applying some of these chemicals everyday for 5, 10, 20 or more years must have some negative consequence to our health. We should be less trusting of ingredients that we can’t recognize or understand. This entry was posted in Green Living, Green Products, Toxic Chemicals and tagged Cosmetics, parabens, phtalatates, toxic chemicals, toxic cosmetics. Bookmark the permalink. Great post. I had never paid close attention to the ingredients in my lotions until my 5 year old daughter broke out on 2 different occasions due to an allergic reaction from my lotion. Almost every shampoo I’ve seen contains Sodium Laureth Sulfate, and I never knew it was potentially dangerous until reading this post. what about mercury and hidroquinon? i don’t see about both of them on your blog? Its mad – never knew there were so many nasties in these products – revealing. Note to self: read labels correctly! Phtalates are also in a lot of air freshners- something to avoid! I think you never know what to use nowdays. All the cosmetics have some ingredients that are toxic in a small measure for the skin. This is one observation, another is that is very expensive to buy bio products, which may have a better impact to the skin.